When you think of smart and creative animators who have made great strides in animated movies, then Butch Hartman comes to mind. The multi-talented star isn’t just an animator, he is equally a voice actor and producer. Butch garnered wide popularity for being the creator of popular shows including The Fairly OddParents, Bunsen Is a Beast and T.U.F.F. Puppy on Nicktoons. He also owns a production coy called Billionfold Inc. with which he produces all his shows. In addition, Butch has played the role of a voice actor in the animated series Family Guy as well as Generations. Since 2017, He has been hosting a podcast titled Speech Bubble on YouTube and other interesting kinds of stuff. Read on as we take a sneak peek on his bio, net worth, and other facts below. The actor was born and named Elmer Earl Hartman IV on the 10th day of January 1965 in Highland Park, Michigan, United States. He grew up along his brothers Keith, Mike and Timothy Hartman. While he was growing, he was given the nickname ‘Butch’ which he eventually adopted as his professional name. He completed his basic education in Anchor Bay High School situated in New Baltimore. After his graduation in 1983, Butch went on to attend California Institute of the Arts in Valencia, California. While at the Arts Institute, Butch interned as an in-between animator in the 1986 Don Bluth’s movie An American Tail. Soon after his graduation, he quickly landed his first gig as an artist and character designer for the movie My Little Pony. Having little or no experience as a storyboard artist, Butch couldn’t deliver in his duties which got him laid off from the job. He went to join Ruby-Spears where he was part of the production crew for the animated series including Dink, the Little Dinosaur and It’s Punky Brewster. Butch also worked as video reference crew member for the production of Disney’s Pocahontas. During the early ‘90s, Butch Hartman worked for the animation studio called Hanna-Barbera. Working as an artist, Butch successfully created Chip, Pfish, and Gramps for their animated movie What a Cartoon. Afterward, he wrote and directed other Cartoon Network shows which include I Am Weasel, Johnny Bravo, Dexter’s Laboratory and many more. When he left the animation coy, Butch joined Nickelodeon where he designed another series called Oh Yeah! Cartoons. The talented animator got his breakthrough in 1997 after creating the series The Fairly OddParents. The series turned out to be commercially successful, thus rating as the second best series after SpongeBob SquarePants. The show became one of the longest-running kiddies show on Nickelodeon until it ended in 2017. Interestingly, Butch also produced other popular series on Nickelodeon including T.U.F.F. Puppy, Danny Phantom, and Bunsen Is a Beast, among others. In addition to his animation works, Butch also runs a podcast known as Speech Bubble on YouTube. The show revolves around movies, cartoons, pop culture, and other areas. He also released a comic book entitled The 3 O’Clock Club in 2017. Butch appeared as a voice actor in animated series such as Family Guy, T.U.F.F. Puppy, and Pet Star, etc. Net Worth: How Much is She Worth? 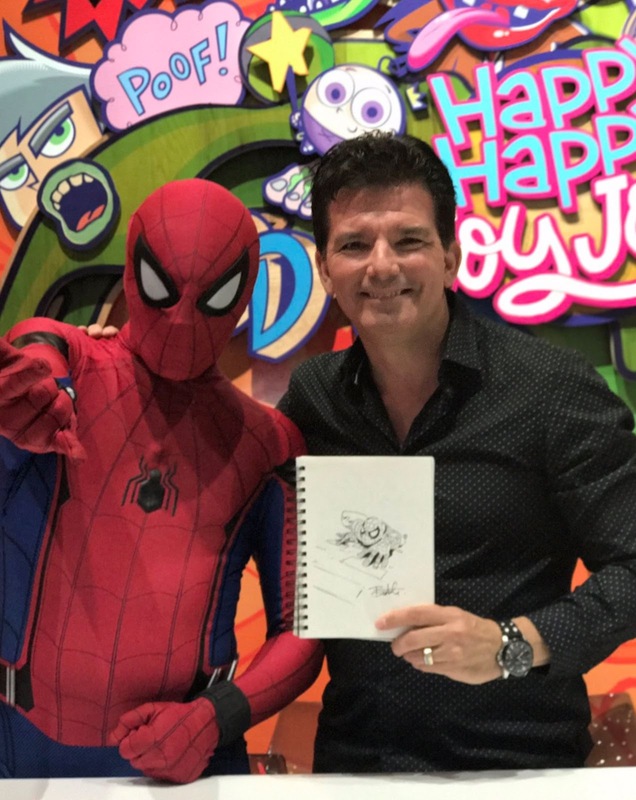 Undoubtedly, Butch Hartman has successfully made a name for himself in the American entertainment industry. Since the inception of his career, the animator has made a huge impact in the world of animated movies and his works do speak for themselves. While he is busy doing what he knows how to do best, he has equally earned a lot of money for his efforts. Butch Hartman currently has an estimated net worth of $50 million. His wealth comes from his animation career, production coy, and his YouTube channel. Undoubtedly, the talented animator has recorded tremendous successes in his career. However, his move to fund his OAXIS Streaming Service after leaving Nickelodeon in 2018 stirred controversies and incurred a lot of backlash from his fans. Butch had stated that the streaming service is a subscription-based entertainment platform that would help to reconnect family. He also said that people loved his shows because they had Jesus in them and he is the one that will lead a new brighter future for kids and families in America. Following his statement, He was accused of manipulating his audiences to support a Christian-based service under false pretenses. Additionally, the animator also accused his guest Tara Song of contributing to Mary Kay Bergman’s suicide. In the wake of the foregoing, Butch went on Twitter to address the issues.